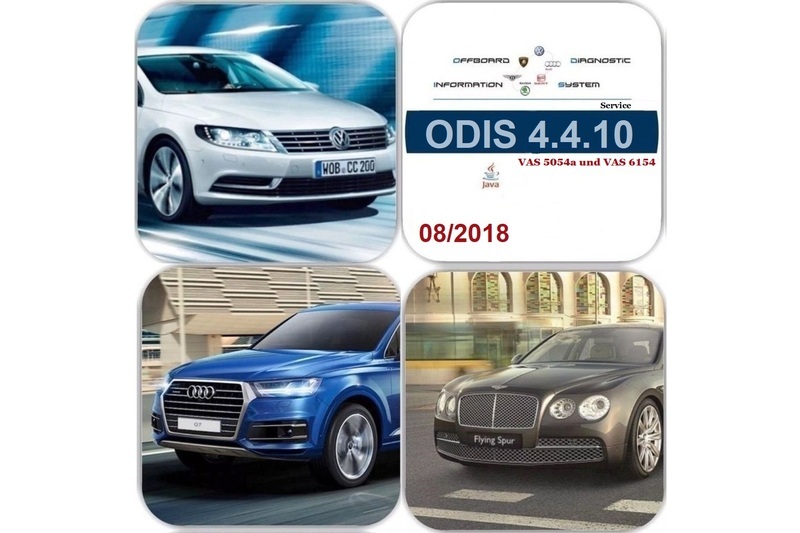 for the brands: VW (cars), VW (commercial vehicles), AUDI, Seat, Skoda. Works with VAS 5051B, VAS 5052A, VAS 5054A, VAS 5055, VAS 6150, VAS 6150A, VAS 6150B, VAS 6154, VAS 6160, CarDiag-Plus, iFlash, PassThru SAE J2534. 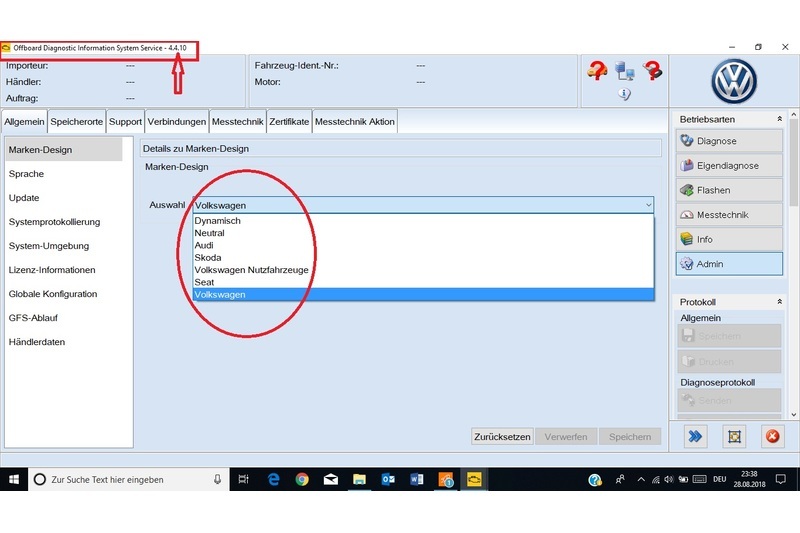 For all other Windows, use the VAS 6154 or a PassThru-compatible adapter. 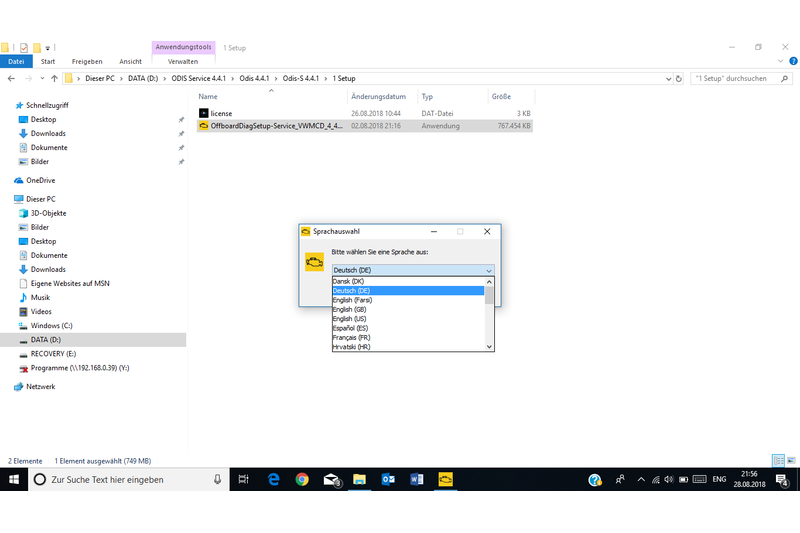 In order to work under Windows 10 with the VAS 5054a, a VAS5054A fix driver is included, but it will work only 50/50% with the VAS 5054a. Is dependence on the quality of your VAS 5054a clones. Otherwise, use the newer VAS 6154 instead. It only works with a high quality VAS 5054a. 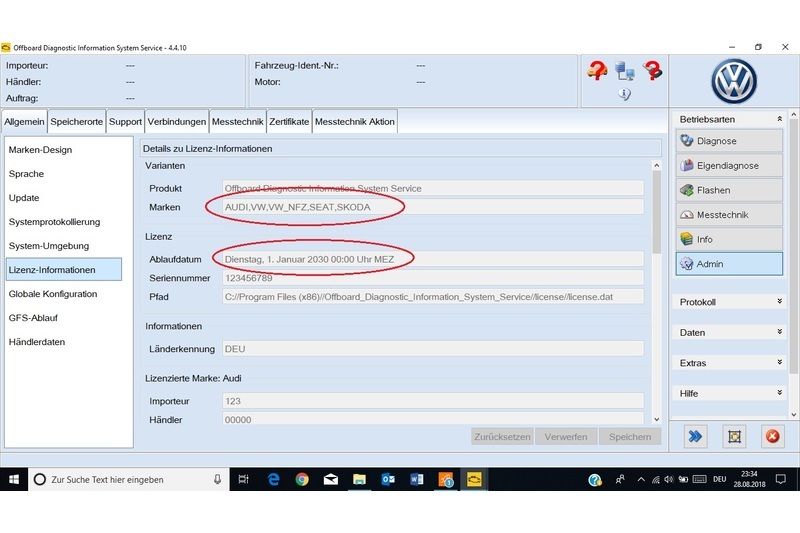 The ODIS system integrates the main application system of the VW Group and significantly improves the efficiency of the diagnosis. 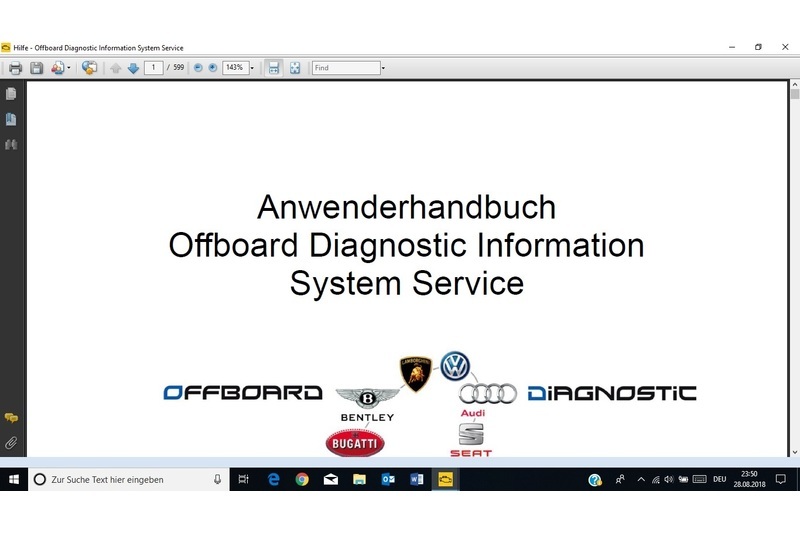 ODIS system offers flexible fault diagnosis, clear data check display, convenient diagnostic input. * The central administration-managed GFF database directly outputs error information and solutions. * A full range of integration from development to after-sales service makes the process base more reliable. * The integration of the diagnostic system (eg: Elsa pro) further improves the core processes of the service. * Systematically optimizes the technician’s diagnostic procedure and saves time. The optimization of the diagnostic procedure makes the costs of the dealer reasonable. * Diagnostic logs are saved automatically. * You can choose a dynamic brand layout. This then changes depending on the make of the vehicle. * The special functions are displayed thematically sorted. * You have the possibility to generate a self-diagnostic protocol. 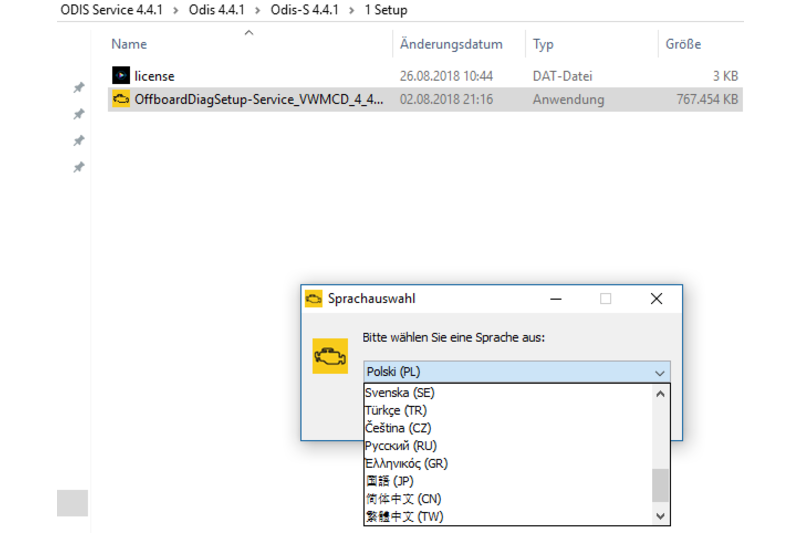 * You can check the connections to backend systems. * The enforcement of an update has been optimized. * The data download takes place in the background. * An intermittent download will continue automatically. * You have the option of automatically shutting down the system after an update. 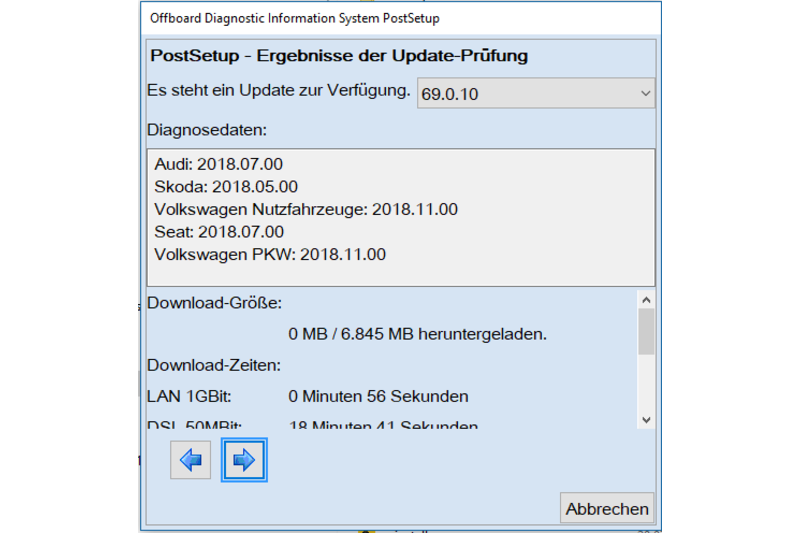 * If there is no online connection, the login dialog in the diagnostics entry is skipped. * The view Test Instruments is printed with white background. * You can use a standard mail client to send a support message. * Certain features can be set manually, if available, national variant. * There is a mode self-diagnosis. * Self-diagnosis can also be used during contract work. 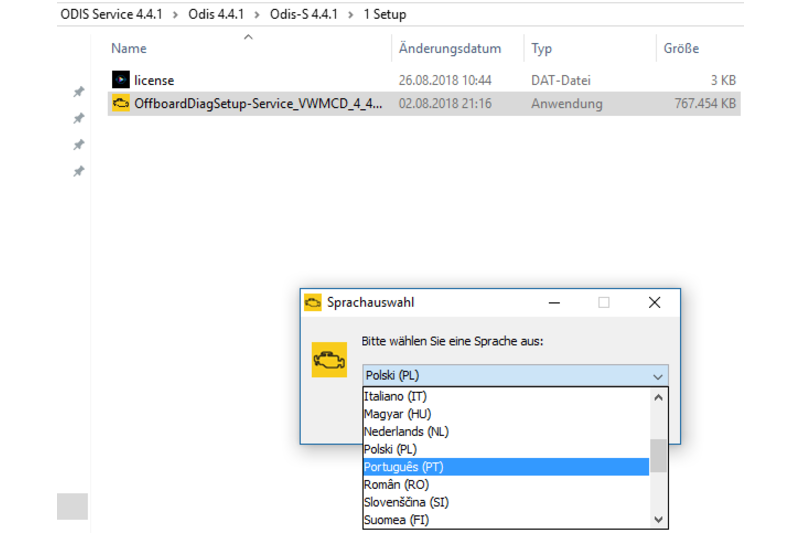 * OBD functions can be performed in self-diagnosis. * Various small optimizations on the graphical user interface. 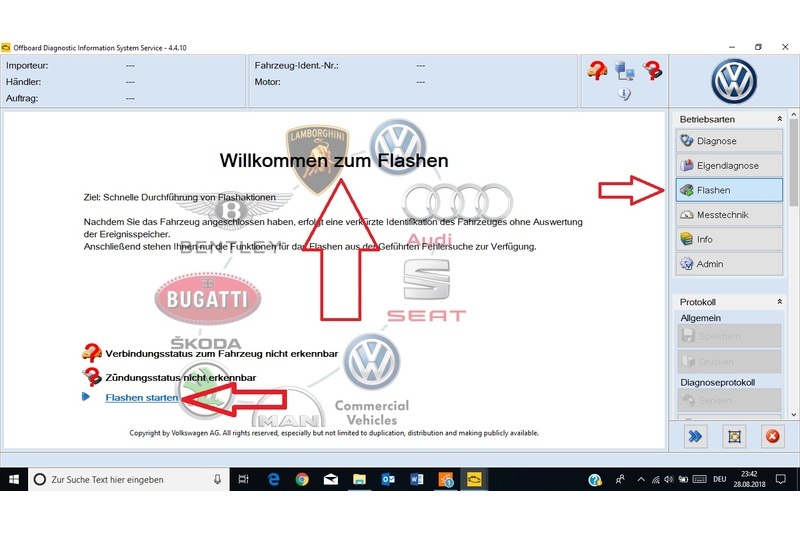 This entry was posted in Outils De Diagnostic Appareils and tagged vas 5054a, vas 5054a audi scanner, vas 5054a vw scanner, vas 6154 on November 20, 2018 by sales.